Our in-clinic DermaFix treatments, with advanced, clinically tested ingredients provide measurable, scientifically proven results in anti-ageing, hyper-pigmentation, acne, scarrring and stretch marks. 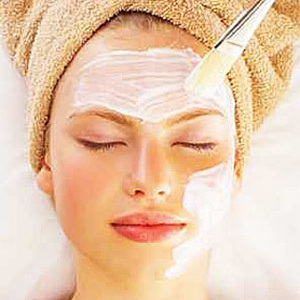 Our treatments include DermaFix advanced skin Peels and Micro Needling. We offer the full range of DermaFix home care to ensure ongoing positive results. DermaFix Advanced Cosmeceutical Skin Care represents dermatologically approved and clinically effective products, formulated for the correction, prevention and protection of the skin. Only the purest botanicals, stem cells, liposomes, advanced natural phytonutrients and peptide technology. Cutting edge, innovative and effective solutions for superior skin care, with continuously updated formulations. The Micro Needle Roller stimulates collagen induction by creating microscopic channels in the skin, to increase the formation of new tissue. The micro-channelling causes the release of growth factors that promote scarless healing. This procedure is more consistent in increasing the thickness of the skin than most other resurfacing techniques and acts as a Transdermal Delivery Device to increase the penetration of active ingredients. The process facilitates and stimulates the skins natural healing process without causing permanent epidermal damage and has been shown to stimulate collagen naturally and aid in the infusion of actives. An obvious advantage with this procedure is the fact that the epidermis- the protective layer of the skin is preserved. This is a non-ablative treatment and produces little to no down time. Skin needling is now well established as a treatment option for depressed scarring and stretch marks. It is a far more cost-effective option than fractional laser therapy and delivers similar results with repeated treatments. DermaFix ActiveCellCeuticals – includes a range of Growth Factors, Stem Cells, Specialized Peptide complexes in Liposomes, Lamellar Structured Ceramides in Serums and Boosters infused through the microscopic channels in the skin created by the treatment of the MTS Micro Needling System. Superficial chemical peels performed safely by our Skin Care Professionals, DermaFix peels in contrast to medium and deep peels, require little or no down time for the client producing visible results. Enzyme Masques Re-Educate the muscles affecting the deeper fragile facial muscles, tightening and toning in the sub-dermal area. It holds the facial muscles in contraction tightly for the duration of the masque. This promotes a vascular reaction causing the muscles to pulsate, as in passive exercise which may cause minor itching due to the increased circulation. The endogenous enzymatic antioxidants in skin consist of superoxide dismutases, catalase, glutathione peroxidase, NAD(P) H:Quinone reductase and the thioredoxin system, which catalyze the breakdown or consumption of compounds capable for initiating oxidation reactions. As already noted, the antioxidant enzymes are often referred to as detoxication enzymes. Typically, detoxication refers to those enzymes capable of metabolizing a diverse range of drugs and toxins. We stock Dermafix Retail products in store.